This is a classic Rioja in every sense. Made exclusively from Tempranillo sourced from a superb, ten hectare vineyard that lies on a prominent hillside which overlooks the beautiful medieval town of Navarrete, this is an absolute must for lovers of Rioja. Don Jacobo’s gregarious winemaker, the bountifully moustached Javier Martinez, prides himself on this multi-medal-winning wine which is the pinnacle of the hugely popular Don Jacobo range. The soil in this vineyard is extremely poor and rocky and yields are 30% below the average for Rioja, resulting in wines of great concentration and richness. 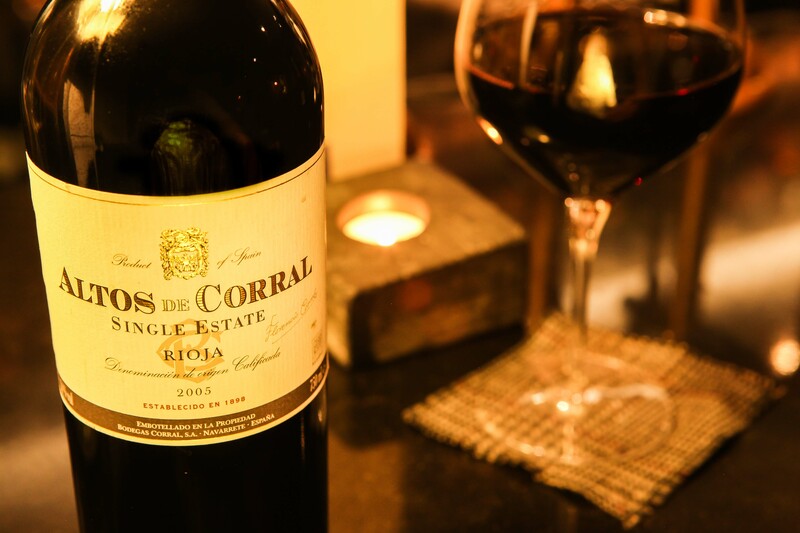 Effortlessly smooth, silky and sophisticated this handsome Rioja boasts enormous complexity and developed fruit flavours on a lingeringly warm and wonderfully graceful finish. A stunning partner with red meat such as our new venison saddle or lamb rump this wine wins regular acclaim at the Sommelier Wine Awards.